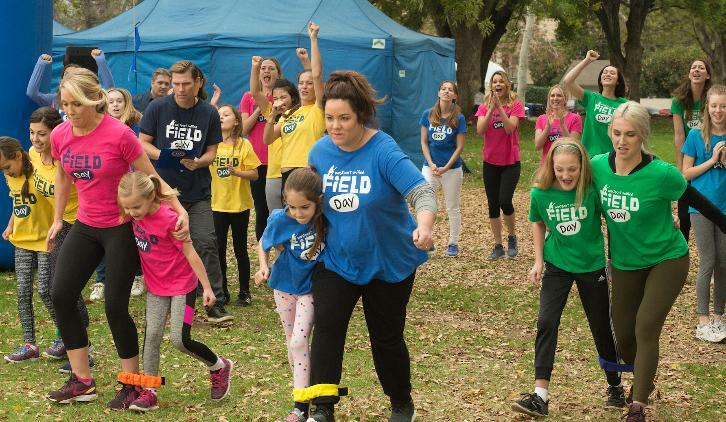 “Field Day” – Katie wants to prove to the Westport moms that she is fully capable of competing at Field Day at Anna-Kat’s school, but she ends up taking the competition a little too seriously. Greg enlists Taylor’s boyfriend, Trip, to help him make the family recipe for chili in a local competition, which makes Taylor and Oliver jealous, on an all-new episode of “American Housewife,” airing WEDNESDAY, FEB. 28 (9:31-10:00 p.m. EST), on The ABC Television Network, streaming and on demand. “Field Day” was written by Taylor Hamra and directed by Chris Koch.